The Universal Full Kit Water Filter from LifeStraw is an advanced portable water filter that fit most narrow and wide mouthed water bottles. 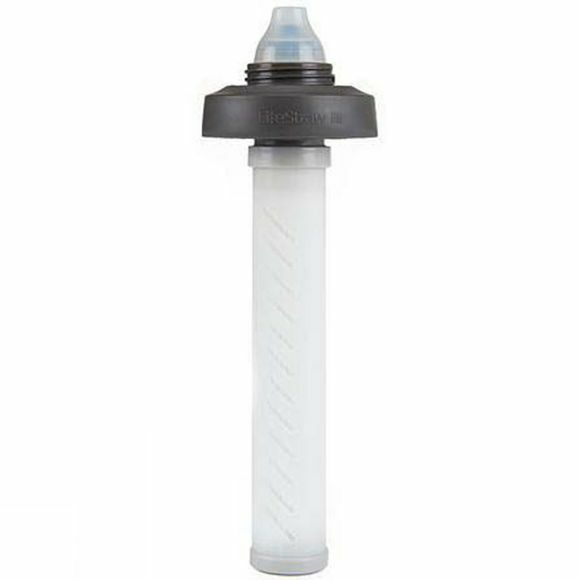 The hollow fiber membrane filters out bacteria, parasites and microplastics, and the activated carbon capsule reduces chlorine, organic chemical matter and bad odor and taste. It is recyclable and sustainable: the carbon filtrate 100L and the hollow fiber 4000L of water - equivalent of 8,000 single use plastic water bottles. 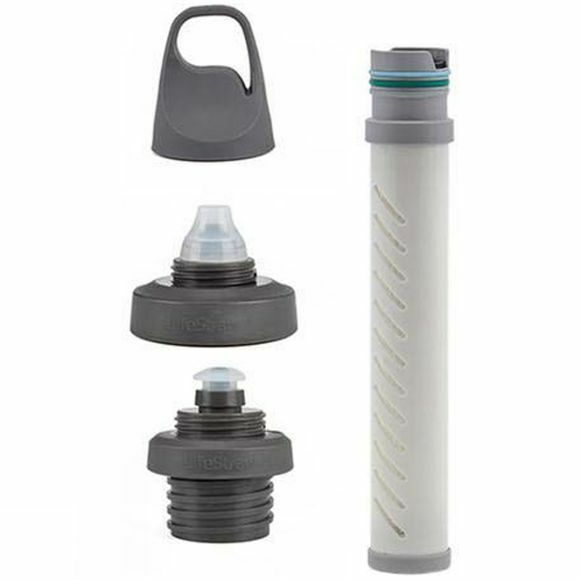 Advanced water filter kit includes replaceable water filter, two cap sizes (narrow and wide mouth), standard and sports mouthpieces, and a leak-proof lid. Compatible with most Nalgene, Camelbak, Hydroflask, Klean Kanteen and other water bottle models.